Fine Dining Restaurant Rapid City: Welcome to Stonewalls Kitchen! 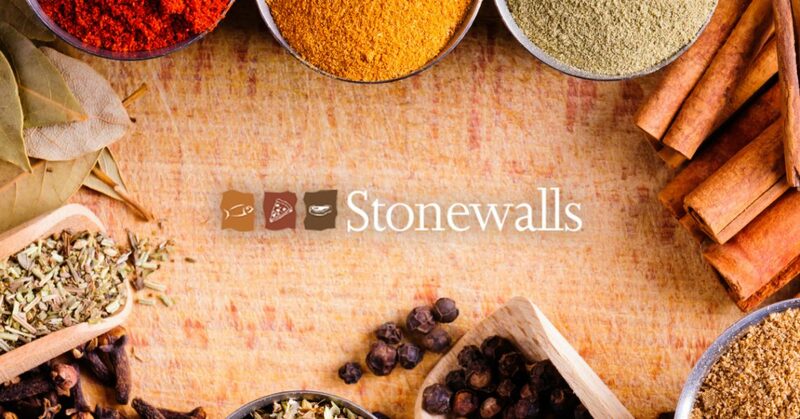 Stonewalls Kitchen is your new, go-to fine dining restaurant in Rapid City. When you go to a fine dining restaurant in Rapid City, you expect a lot. Not only should the food be incredible, the setting must be perfect and the staff must be amiable as well. The expectations are high when you step into a fine dining restaurant; in fact, they are often so high that most restaurants can’t possibly live up to them. However, here at Stonewalls Kitchen, we are proud to say that we are a different kind of fine dining restaurant, and we are dedicated to meeting even your highest expectations. Our atmosphere is unique – Unfortunately, in recent years, fine dining has started being equated to stuffy and snooty, but how can anyone relax and enjoy their dinner when they feel like their server is constantly looking down on them? That’s why, here at Stonewalls, we’ve designed a dining atmosphere that is both upscale and relaxed, making it the perfect mix of comfort and luxury. We don’t stop at dinner – The vast majority of fine dining restaurants in town serve dinner, and dinner alone. Although we are proud to say that our dinner menu is one of the most delicious you’ll encounter, we don’t stop there. In addition to dinner, we also serve breakfast and lunch. Whether you’re looking for a smothered burrito to start your day, a bowl of our famous House French Onion Soup and a sandwich or salad or you are looking to share a mouth-watering plate of Surf & Turf with a loved one, there’s no better restaurant to turn to than Stonewalls. Our menu is varied – Not only do we offer breakfast, lunch and dinner, we also have an incredibly varied menu for all the meals we serve. For breakfast, you can choose from all of your favorite, classic dishes, like Biscuits & Gravy or Oatmeal, but you can also choose from Cajun Prime Rib, Blackened Salmon or Fried Eggs & Kale. For lunch, we offer everything from a crowd-pleasing Reuben to salads, soups and our delectable pizzas. For dinner, we are probably best known for our Certified Angus steaks and seafood, but we also offer burgers, pasta, salads and so much more! Don’t forget about our beer, wine and dessert menus to complete your meal! You’ll love our specials – Looking for the hot new spot to have happy hour with your co-workers? Stop into Stonewalls Monday through Friday from five to six PM to enjoy half priced draft beer and wine by the glass, as well as buy one get one half off on our incredible appetizers. We also offer Ladies’ Night, Half Price Wine Night, Mimosa Happy Hour and Prime Rib Nights. Check out our Specials page to learn about all of the incredible ways you can save with Stonewalls. Are you ready to experience Rapid City’s best fine dining restaurant? Whether you turn to us for breakfast, lunch, dinner or even happy hour, we are confident that you’ll enjoy our unique atmosphere, varied menu and excellent service. Stonewalls is your source for a great meal in Rapid City, and you’ll love everything we have to offer. Schedule your reservation today, and please don’t hesitate to contact us if you have any questions or concerns.